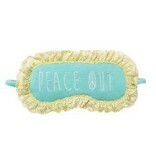 Sleep in peace tonight with our pretty "Peace Out" eye mask from PJ Salvage. 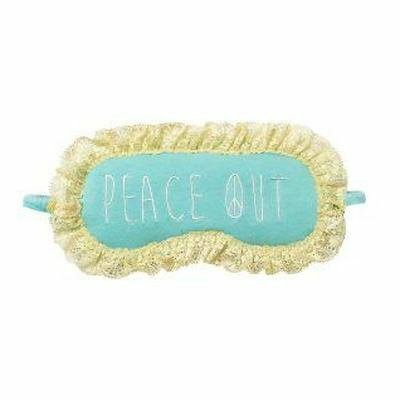 Soft white letters on a mint background surrounded by soft contrast lace makes this eye mask the perfect escape for some rest and relaxation. Made of 95% cotton and 5% jersey.